In August, 1628, the warship Vasa, pride of the Swedish navy, foundered in a light wind and sank less than a nautical mile into her maiden voyage. 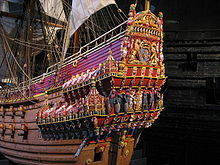 "No expense was spared in decorating and equipping the Vasa, one of the largest and most heavily armed warships of her time, adorned with hundreds of sculptures, all of them painted in vivid colors. She was intended to express the expansionist aspirations of Sweden and the glory of king Gustavus Adolphus." There are a number of lesson we could take from this incident. In terms of project management, for example, the ship was top-heavy and unstable in port, but no one was willing or able to tell the King, who was anxious to deploy the ship in the conflict that became known as the Thirty Year's War, that the ship wasn't ready. But the Vasa is more commonly held up as an example of problems you face when form doesn't follow function. The Vasa's ornamentation was the work of master craftsmen and a thing of beauty in its own right. And contrary to our modern sensibilities, it served the function of expressing the glory of the king. So the issue of form and function with the Vasa is more complex. We often fall prey to the temptation to overload the function of a thing. In the case of the Vasa, it was called upon to fulfill the functions of a warship and a symbol of prestige. With people, we have the old phrase, "jack of all trades, master of none." In the same vein, some wit long ago observed that a camel was a horse designed by a committee. 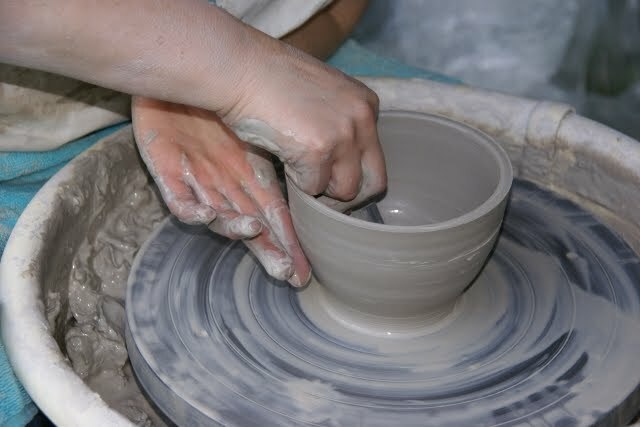 One of the dimensions of the Second Law of Making is that beauty is directly related to the degree that the form of the made thing arises from the integrity of that thing. I once worked with a software development manager who explained how the technical beauty of system eroded over time because of the toilet paper syndrome. He said, "When you design a system, it's a thing of beauty, like a silver ball. The marketing people come, say it's great but would be better with one more feature that in effect throws a wad of wet toilet paper on the shiny ball. Over time, so much toilet paper accumulates that you lose sight of the ball altogether." In terms of writing, you can lose the silver ball of your story if you try to please everyone who offers comments and suggestions.This is not to say you should simply ignore any feedback. Rather, you need to understand what you're trying to accomplish well enough to be able to distinguish between suggestions that make the work more beautiful and ones that just pile on wads of wet toilet paper.